So, typically in my posts I try for a little levity. 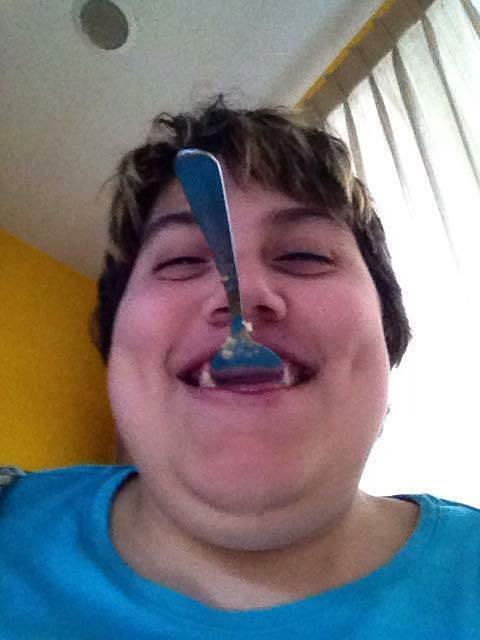 I find a few funny images or gifs to liven things up, and I try to keep everything as anonymous as possible. I’ve made a real effort not to show faces on this blog, because privacy is a right that is very hard to maintain in this digital age. Today, I’m taking a different route. Now, I want you to stop, and look at that picture for a second. Keep looking. Little more. Here, I’ll give you a couple more to help. Ok, good. Keep that in mind while I tell you her story. So, on my summer Contiki, I met, ended up often rooming with and befriended another medical student. She was from the USA, and we bonded, as one does on a Contiki. We talked about our medical school experiences, and our families, and as such, I ended up hearing about her sister; Hannah G. Now, Hannah sounded like a great girl, who had normal interests for a 20 year old – dogs, music, frappes and sports. 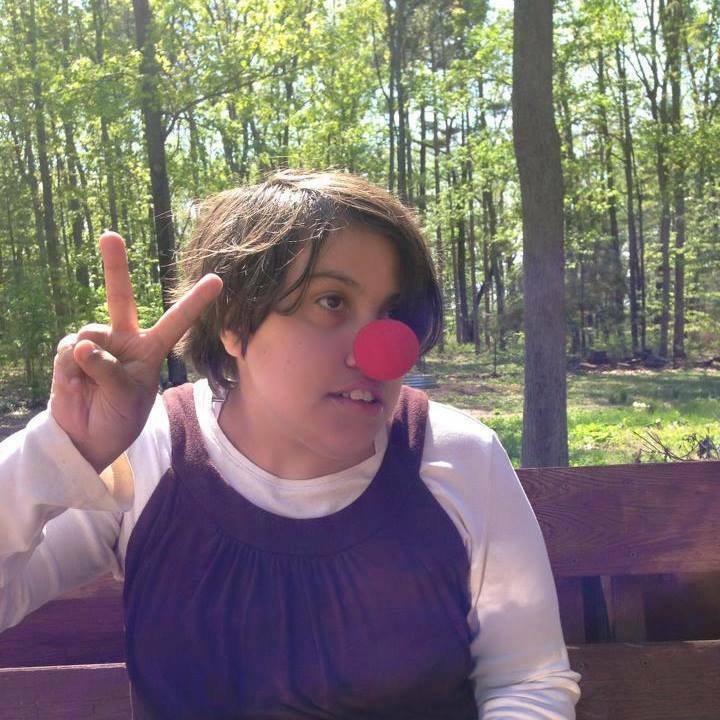 Hannah also has autism – a neurological condition – and Idiopathic Intracranial Hypertension, a condition where pressure builds in her brain causing painful headaches. Since 2012, Hannah has also had a shunt to drain the fluid and remove the pressure on her brain, and such shunts need routine maintenance. However, despite that Hannah was living with family support, living in an apartment, and had a life that brought her happiness. It pains me to have to mention that I’m sure you know where I’m going with this. 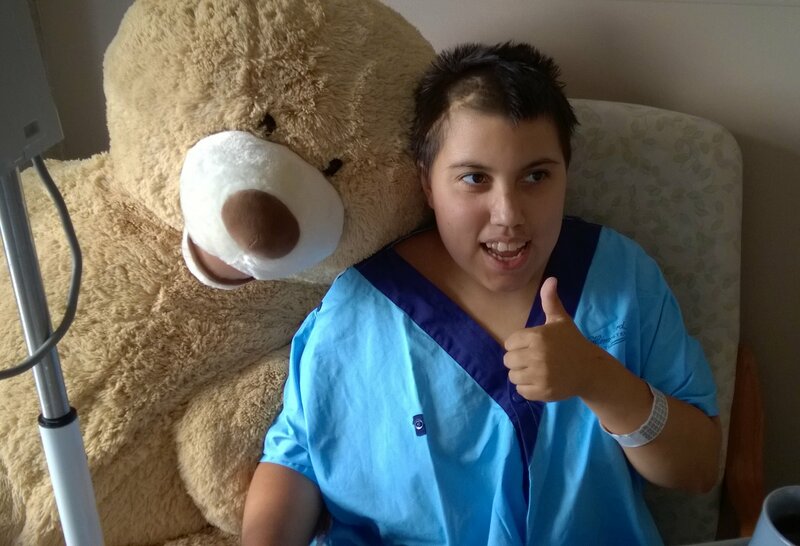 While we were on our trip – making it mid July to August – Hannah’s sister told me that her mother had taken Hannah to the hospital because of head pain. This – I later learned from a lawyer’s release I will link to at the end of the post – resulted in Hannah being sent to a hospital for an emergency lumbar procedure, and a shunt revision was not done. Instead, she was transferred to another hospital where she stayed until early August. Her pressure was still increased, and a shunt revision was performed and a valve was reconnected. A few days after her discharge she was taken to the hospital where her primary care physician practices, and a reservoir was added to the shunt. All of these actions were done in consultation with Hannah’s general practitioner (GP), and were based on objective medical testing. About 24 hours after she had been released from that hospital, she went to the ER of Munson Hospital – August 31 at this point – and Hannah’s mother recounted her daughter’s medical history and recent shunt revisions to the doctors at Munson, who admitted Hannah. Unfortunately, Hannah still remains in Munson, more than a month later. Despite the fact that she has been medically ready for discharge since mid September. This is because a Munson internist and psychiatrist – who had never treated Hannah before and who did not consult with her GP or any of her regular physicians – had become concerned with her recent history of shunt revisions, and had decided by September 2nd that they were going to attempt to remove Hannah’s primary guardian – her mother – which they filed two days later through an ex parte order (without notifying Hannah’s lawyer) and replaced her with a temporary guardian that she does not know, who is allowed to make all her medical and placement decisions. No medical evidence was given in removing Hannah’s mother as guardian, no evidence was offered to suggest that the procedures performed were not medically necessary, and the internist and psychiatrist never consulted with Hannah’s primary care physician before or after filing to remove her mother, a major support system in her life. The following is a summation of Hannah’s life at Munson Hospital currently, quoted from RespectABILITY Law Center – a life she is not allowed to leave, remember, despite not needing to stay in a hospital for any medical necessity. In her new life as a Munson Hospital resident Hannah cannot invite her family or friends to visit her. Her temporary guardian, who does not know her family or friends and has refused contact with them, will only allow Hannah’s mother to visit her only once a day for 3 hours. Her sister, who also is her standby guardian, and her brother cannot visit with her at all. 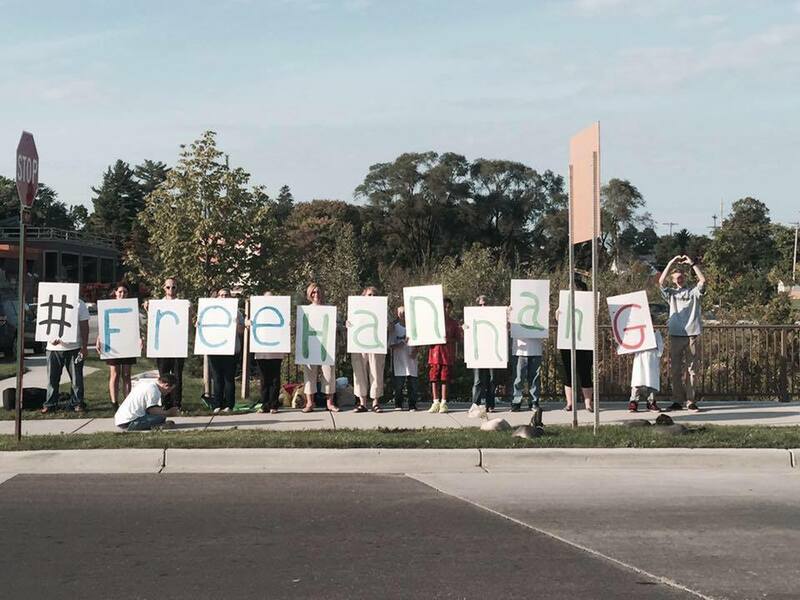 The judge…has ordered that Hannah’s lawyer only can consult with Hannah twice a week for 30 minutes and must give the hospital and guardian two days’ notice before each consultation. Hannah’s lawyer is challenging the order because many of the facts upon which it was issued are false and it deprives Hannah of her right to counsel. Hospital staff have refused to give Hannah her mail since on or about September 21, 2015 even though Hannah can open and read the mail for herself. 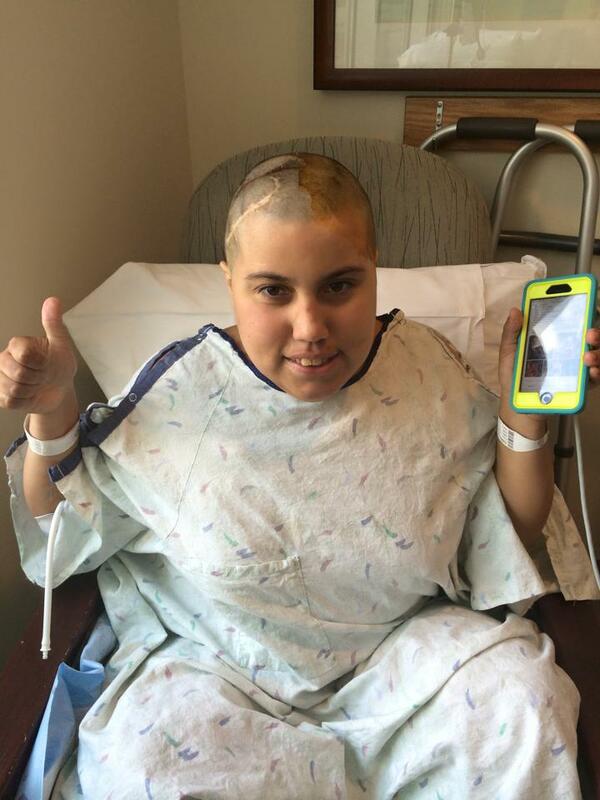 Hannah cannot go outside or anywhere inside the hospital except for her hospital room and the family visiting room on her floor. She has not been outside since August 31st. Munson staff have threatened to take Hannah’s phone away from her or to limit who she could call and who could call her. They have not implemented this threat to date. The temporary guardian and hospital personnel have ordered away Hannah’s community mental health workers who otherwise work with her 24/7. Munson staff are not assisting Hannah in meeting her daily hygiene needs and are now forcing Hannah to use her private bathroom with the door open even though Hannah is not a threat to herself or others. 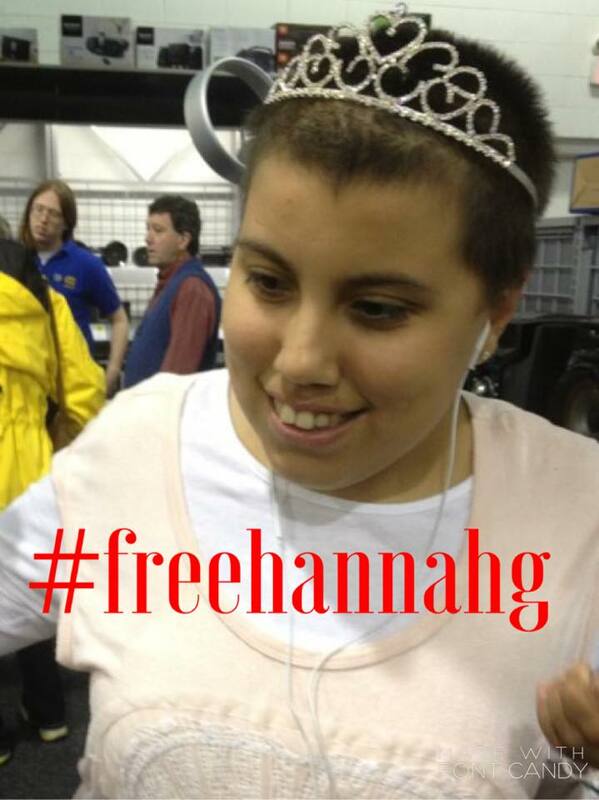 Since August 31st Hannah has been denied access to her sensory equipment and her therapy dog. 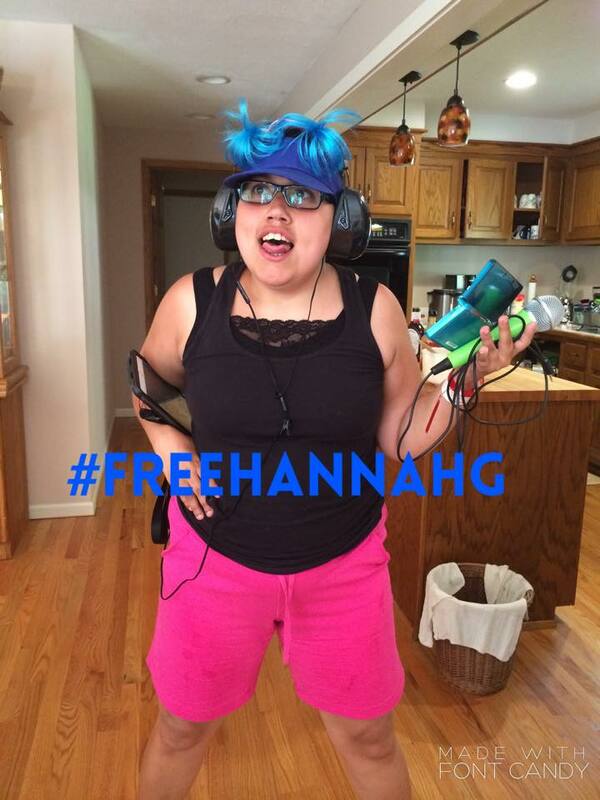 These practices violate Hannah’s civil rights to associate with others, receive mail and enjoy her own privacy. Hannah wants to go home to her apartment and to be with her family and friends. And right now, she’s imprisoned in a hospital. She’s imprisoned in a hospital. Now, far be it for me to say that hospitalization against a patients’ wishes is never the right answer. In cases where that patient is a harm to themselves or other, it can be the correct course of action. I even have a member of my close family with a mental illness who has been hospitalized for this reason, and I know first hand it is a situation that is incredibly complicated and delicate. But Hannah’s case is different than that. My family member needed to be there because they were a danger to themselves and society, and there was no support we could provide to have them live safely at home. And the main goal of that hospitalization was to make it as brief as possible and to get that family member well enough so they could live on their own again, which they did. Hannah, on the other hand, has been removed from her life, where she was a functioning member of society with a loving family and support system, and essentially locked up in a hospital, because two doctors who had known her case for 4 days decided to remove her mother as her guardian. Apparently the doctors believed that Hannah’s mother was too controlling, and their argument was that she had forced the other doctors to do the procedures. And yet, at the same time, they didn’t check with her GP, or provide any proof that any of the recent procedures Hannah had were not medically necessary. Instead of looking to the doctors who actually provided the care they were concerned about, they seem to have blamed her mother – who despite not having a medical background has two medical student children and healthcare providers for family – for consenting to the procedures. Given that they could provide no evidence against the medical need for the procedures performed, they’ve essentially said that Hannah’s mother is guilty of listening to the evidence-based medical care that was explained to her by doctors, and that this is enough to remove her and upheave Hannah’s whole life. That her crime is in trusting doctors. This bothers me, a lot. We’re told, again and again in medical school the need for informed consent, and for patient autonomy. That these must be the cornerstone of medicine. If a patient – or their guardian – consents to a procedure if they don’t understand the risks, that is on the doctor, not the patient or guardian. If a doctor fails to provide informed consent, that is not the patient’s fault. And again, to absolutely repeat this point; there was no evidence that any of the procedures undertaken were not medically necessary. Furthermore, beyond the fact that keeping Hannah locked up in a hospital when she no longer needs medical treatment there is both morally and ethically wrong, it’s also bad medicine. Overwhelmingly, studies have found that patients do better when they can go home and live with support systems. Seniors, the disabled, people with neurological conditions and the mentally ill and handicapped – all across the board these people do better when they are able to go home. This is so common knowledge that this very week a physician teaching us mentioned that you “want to keep people out of hospitals and care homes as long as you can, because they deteriorate rather quickly after that.” Well checks, house calls, contacting patients by Skype are all resources that physicians do to try and keep patients in their own homes, to increase their health. Keeping a patient who doesn’t need medical care in a hospital and not letting them leave, see friends and family or have access to their caregivers is a recipe for deteriorating health, period. And that says nothing of the other harms it does. Who pays for Hannah’s period of forced hospitalization? How many patients can’t get care because the hospital is keeping Hannah in a bed that could be offered to other patients? What sort of psychological impact does forced imprisonment have on a person? I can’t imagine the answer to any of those questions are good. Hospitals should be safe spaces, where we feel free to go to without fear of not being able to leave. Does anyone really think that forcing someone to stay in a hospital against their will and against medical need is going to make them more receptive to the healthcare system? These doctors have taken the hospital, a symbol of all the things that I am striving to be, and have turned it into a prison. Autism is not a crime, and too often treated like one. Hannah is a girl who wants her life back, and she deserves to get it. She has a loving and supportive family and a life that was full of happiness, and those things are being kept from her for no reason right now. She deserves better than the care she is getting right now. In one of your last paragraphs you state, “Mental illness isn’t a crime.” I take issue with that statement because autism isn’t a mental illness. It is a neurological condition. Thank you for your comment; I have amended the sentence. I meant no offence or stigma calling autism a “mental illness,” anymore than I would saying something was a physical illness. The family member I mentioned in the piece that has a mental illness has often been treated like a criminal because of their disorder, so I’m used to having to argue the point that “mental illness isn’t a crime.” I only referred to autism that way because autism spectrum disorders (ASD) are listed in the Diagnostic and Statistical Manual of Mental Disorders (DSM-5) as they effect “mental” processes like cognition and behaviour. Mental illness, in medicine, is just a huge catch all term that massively oversimplifies the many complicated and nuanced conditions in its prevue. However you are most certainly correct that it is better characterized as a neurological condition, so I have amended the statement and added that autism is a neurological condition earlier in the post to clarify that. Thank you again for your interest in Hannah’s case.